No stranger to getting recognition for its exceptional and innovative products, Yggdrasil Gaming is again climbing to the top of the industry. This last month, a popular Yggdrasil Slot Vikings Go Berzerk climbed up the Top-20 slots ranking list from iGaming Tracker. The game has surged 35 places and knowing the quality of Yggdrasil products, we should expect to see more of their games at the top of the list soon. The leader of the list is still NetEnt. That comes as no surprise because the developer is the definite number one in its field. For all that Yggdrasil is innovative, creative, and original with its games, NetEnt has all of these qualities and the bonus of being a huge successful corporation. Play’n GO is another developer enjoying the laurels of being ranked second of the Top-20 iGaming Tracker slots list, and not for the first time. 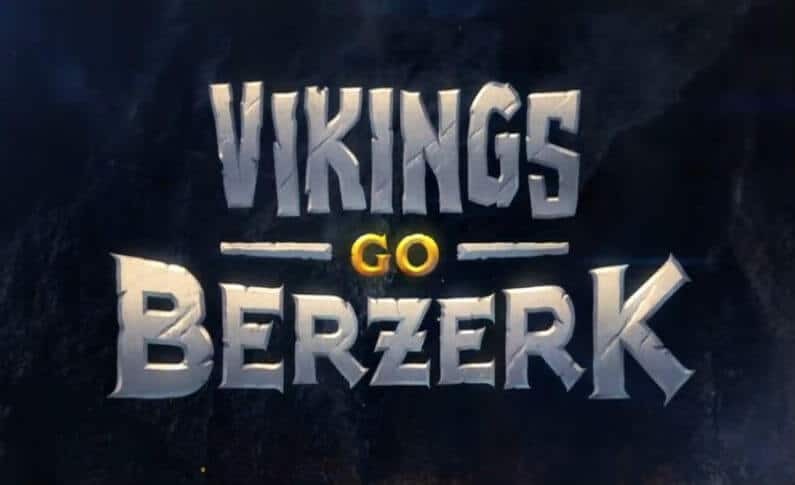 In a single blink, Vikings Go Berzerk has jumped 35 positions in the top online slots ranking for UK players. Yggdrasil can be duly proud of one of its premier slots currently taking the 11th position in the list as opposed to the 46th of the previous month. If you consider such a rapid elevation in ranks to be strange, you should take a peek at Yggdrasil Gaming’s report for the first quarter of 2018. The company’s revenues for this period have grown by 73% as opposed to 2017! This growth is nothing short of staggering, even in the online gambling industry where ‘miracle power boosts’ are a common occurrence. This means one thing, 2018 is the year of Yggdrasil and we will see many other fantastic accomplishments from the developer. This year it has already launched three great new slots, including a new title in the Vikings franchise. It’s safe to assume that other Vikings games and popular Yggdrasil slots will be making their way up to the Top-20 quite soon. NetEnt has been the leader of many a list when it comes to iGaming rankings. And it continues the tradition with Top-20 iGaming Tracker by occupying the first line with its legendary Starburst slot. This is a must-play game for everyone who wants to give online gambling a try. And you shouldn’t have any trouble enjoying it. Not only is it present in every major online casino, because all the best are powered by NetEnt. It’s also often included in the Welcome Bonus package, so you’ll get to have some Free spins on Starburst right away. By no means is Starburst the only NetEnt’s entry into the Top-20 list. Its other popular slots are nearby. Gonzo’s Quest, a NetEnt slot that was the first game in the industry to be transferred to a Virtual Reality platform, is solidly keeping its lucky 7th place in the ranking. Next we have Mega Fortune Dreams, one of the most generous progressive jackpots in the industry. Mega Fortune is NetEnt’s main competitor against Microgaming’s Mega Moolah and the games are pretty much tied with the multimillion payouts they made throughout the games’ existence. Mega Fortune Dreams climbed two positions from 10th to 8th in the last month. Sadly, Asgardian Stones moved down the list and is now just outside of the Top-20. However, this is no issue for NetEnt as no one can doubt that this developer is still the leader. Play’n GO has been solidly holding its second position in the Top-20 slots ranking list with its most popular game Book of the Dead. This Egypt-themed slot has a unique charm to it and definitely makes one of Play’n GO’s greatest works. Playing it is a little bit like being Indiana Jones or some other great adventurer hunting for treasures. You get to enjoy fantastic graphics and soundtrack as well as very generous bonuses. The Wild feature is truly wild in this adventure. In this game, both Scatter and Wild symbols are one and the same, so you get different bonuses depending on the situation. The symbol can help you get a winning combo or trigger Free spins rounds. What Does it Mean to Rank High on iGaming Tracker Top-20? As with any ranking, being high on the list is always good, unless you somehow make the ‘top worst’ of anything. In the online gambling industry, where thousands of online slots compete constantly, being on top of a reputed ranking gives the developer a huge boon. This way, they can be sure that their games will be played, and their new launches will get due attention. After all, hundreds of releases never get a chance to truly shine because of the insane competition. iGaming Tracker Top-20 is compiled based on the data from leading online casinos in the UK. These are the most popular games there, and being on the list will no doubt make them more popular. We’re looking forward to seeing how the rankings change come next month.